Giant bipedal tanks – most often called mecha – were always a huge part of Saturday mornings and after-school cartoons. Most of the animation came from the Pacific Rim (especially Japan), and while the Americanization of the material often leaves “true fans” a bit frustrated, nothing could take away from the sheer badassery of those mega-spectacular combat scenes. I’ve already pointed out Mekton Zeta earlier this month, so let’s take a look at a mecha game many of you might not have known about. Battle Century G has all the right bits – giant robot armor, super-competent characters, the ability to customize and kit out your mecha, and combat that rewards style as much as tactics. A perfect choice for Extra Large Bowl of Cereal Week. 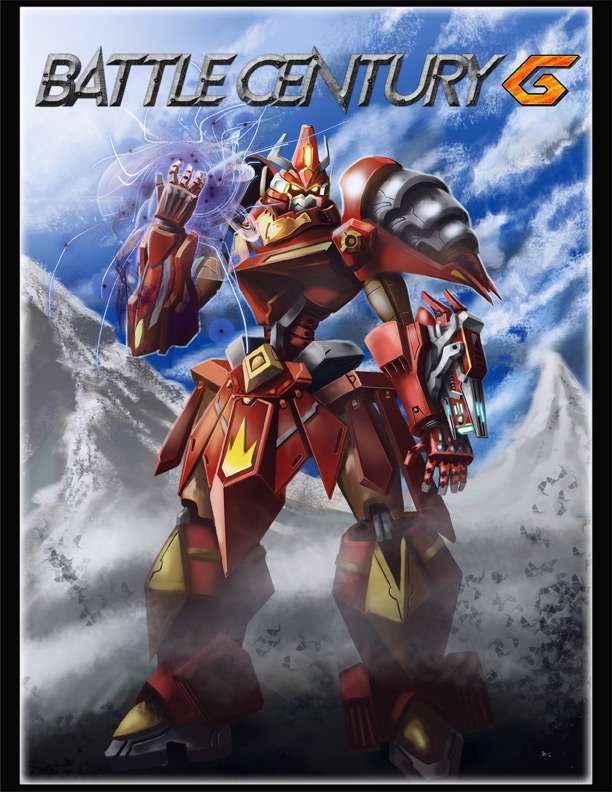 Battle Century G is a Roleplaying Game for 4-7 Players in the style of Mecha anime and videogames. Big Heroes means the Player Characters are badasses on par with any main character from Mecha fiction. The Fast Pacing is because battles never slow down only getting faster with each passing minute. Finally, combat revolves around making Dramatic Plays through flashy combos, secret techniques, and using weapons inventively. Battle Century G has style. Super robots powered by the sun and mass-produced suits of power armor both play using the same set of rules. The game is effects-based, so how you do something does not matter as much as what you do. And what you do is pilot a kickass Mecha, command a badass Battleship, or ride a terrifying Kaiju. Battle Century G has substance. You have to think about your options, choosing your loadout of weapons and how to tackle the challenges that the GM throws at you. What worked against your Rival the last time might not work again, this time they might be prepared. It is a game for smart players who like overcoming difficult challenges.